The first country to fully embrace business-friendly market-oriented reform was Chile, after General Augusto Pinochet ousted the democratically-elected socialist government of Salvador Allende in 1973, with the support of the CIA and US-based transnational corporations. Reference: Seymour M. Hersh, The Price of Power: Kissinger in the Nixon White House, New York, Summit Books, 1983, p259. During the 1960s US corporations had invested billions of dollars in Chile, buying up most of their industries. This caused some concern in Chile, where leftists who believed that Chileans were being exploited, organized strikes and demonstrations against US companies. Chile’s main export was copper but foreign companies—particularly US companies Anaconda and Kennecott Copper—owned 80% of the copper production and made large profits out of it. In 1970 Salvador Allende campaigned for election on a platform of nationalizing Chile’s major industries including copper and ensuring a more equitable distribution of wealth, as he had in previous elections. Reference: Gregory Palast, ‘Pepsi Demands a US Coup. Goodbye Allende. Hello Pinochet’, The Observer, 8 November, 1998, p9. When it looked likely that Allende would be elected President of Chile, US corporations operating in Chile got worried that their businesses might be nationalized and put pressure on the US government to do something about it. Donald Kendall, chair of PepsiCo, telephoned President Nixon, who had once been the company’s lawyer, to plead for US intervention. ITT Corporation promised $1 million to help the CIA stop Allende taking power. It owned Chile’s telephone company and was a major donor to the US Republican Party as well as having a former CIA director on its board. The Business Group for Latin America (later the Council of the Americas), a group of US transnational corporations—including Anaconda, ITT and PepsiCo—created by David Rockefeller in 1963, unsuccessfully offered to put up $500,000 for the purposes of persuading members of the Chilean Congress not to confirm Allende once he was elected. After Allende was confirmed with a large Congressional majority, it pressured the Nixon Administration to impose an unofficial embargo on the Chilean economy. Reference: Select Committee to Study Governmental Operations with Respect to Intelligence Activities, ‘Church Report: Covert Action in Chile 1963-1973’, Department of State, United States Senate, 18 December 1975. The CIA admits to carrying out a number of covert activities in Chile to try to prevent Allende from taking office. 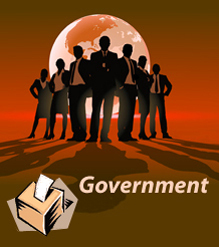 During the 1970 election it funded and assisted opposition parties and candidates as well as carrying out a number of propaganda activities, as it had done in previous elections. It then attempted to influence the Chilean Congress not to confirm Allende. The CIA next attempted ‘to instigate a coup to prevent Allende from taking office’. It supplied tear gas, submachine-guns and ammunition for the coup, which had been ordered by President Nixon. An attempted coup did take place, during which a pro-democracy general was killed, but it was unsuccessful. Salvadore Allende (pictured) became president in September 1970. Reference: Select Committee to Study Governmental Operations with Respect to Intelligence Activities, ‘Church Report: Covert Action in Chile 1963-1973’, Department of State, United States Senate, 18 December 1975; ‘CIA Activities in Chile’, US Central Intelligence Agency, 18 September, 2000. The CIA then paid $8 million to the media, opposition political parties, and private companies, as part of a propaganda effort to destabilize the Allende government. It cooperated with transnational corporations at this time. 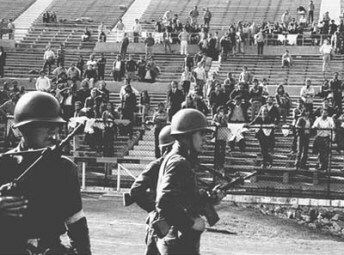 A 1975 US Department of State report stated: ‘In addition to providing information and cover to the CIA, transnational corporations also participated in covert attempts to influence Chilean politics.’ In 1973 a second coup, which the CIA says it knew about in advance but did not instigate, succeeded. Reference: ‘CIA Activities in Chile’, US Central Intelligence Agency, 18 September, 2000. After the coup, Pinochet was installed as dictator, and the CIA helped him consolidate his position with the aid of, in the CIA’s own words, ‘ongoing propaganda projects, including support for news media committed to creating a positive image for the military Junta.’ The US continued to provide military assistance to the Junta whilst it committed its worst human rights abuses. Pinochet put the economy into the hands of a group of economists who applied free market policies without compromise for 16 years from 1973 to 1989. These policies included drastic government spending cuts, the privatisation of state-owned businesses, the lifting of all restrictions on foreign investment and the decimation of business regulations. Reference: Steve Kangas, ‘Chile: The Laboratory Test’, Liberalism Resurgent, accessed 15 August 2004; Sidney Blumenthal, The Rise of the Counter-Establishment: From Conservative Ideology to Political Power, New York, Time Books, 1986, pp. 113-114. As a result, Chile suffered major fluctuations, oscillating between recessions and boom times whilst employment levels fell and bankruptcies soared. Between 1972 and 1987 Chile’s per capita GNP fell 6.4 percent, and unemployment averaged around 16 percent, a performance that was worse than most other Latin American nations. Those who objected ‘disappeared’ or were assassinated or imprisoned.